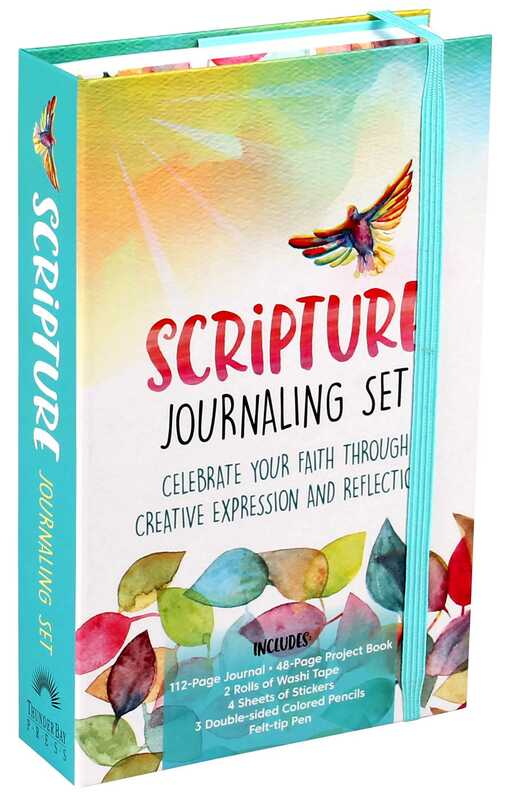 The Scripture Journaling Set contains everything you need to celebrate your faith with creativity on a daily basis. The kit includes a 112-page journal and a 48-page project book full of ideas for decorating the journal pages, along with stickers, washi tape, colored pencils, and a felt-tip pen. With all these items at your disposal, expressing your devotion becomes a fun and rewarding activity, and one that can be used for self-reflection throughout your life. Whether you use the journal as a diary, a daily planner, or a creative outlet for your thoughts, the act of putting words and color to paper is one that is sure to inspire. Thunder Bay Press is an imprint of Printers Row Publishing Group, a wholly owned subsidiary of Readerlink Distribution Services, LLC, the largest full-service book distributor to non-trade booksellers in North America. Thunder Bay publishes across a wide and varied range of formats and categories, from fun, interactive activity titles and kits on subjects such as origami, cooking, crafts, games, and art to reference books suitable for gift-giving in categories like art, fitness, pets, travel, history, culture, sports, and nature. Thunder Bay Press celebrates the book in all its forms, and publishes something for everyone. They’re headquartered in San Diego.